According to the China Association of Automobile Manufacturers (CAAM), domestic vehicle sales increased 3% year-on-year in 2017, to 28.88 million units, a sales increase far lower than the 10% rise seen in 2016. The slower growth was due to higher taxes on smaller cars and subsidy adjustments on electric vehicles. Passenger car sales, led by Volkswage, increased 1.4% (among those SUV sales rose by 13.3%, to 10.25 million units), while sales of minibuses/multi-purpose vehicles plunged 20% and 17% respectively. Commercial vehicles recorded robust demand with sales increasing 14%, to 4.16 million units. In 2018 it is expected that vehicle sales will increase as much as 5% year on-year. However, concerns over overcapacity are rising, as there are currently more than 200 electric-vehicle projects in China with investment of over CNY 1,026 billion and a potential capacity of more than 21 million units, while the government-set target aims at just 7 million units on the road by 2025. In order to guide the industry, the Chinese state is gradually reducing subsidies. Stricter rules are also set to raise the subsidy threshold, which will force automakers to increasingly convert themselves into hi-tech companies with core competencies. In this way, low-cost manufactures will leave the stage. Made in China 2025 is an initiative to upgrade the country’s industry from low cost mass production to higher value-added advanced manufacturing. It prioritizes 10 sectors, including the auto sector (and NEVs). The initiative’s objectives are to sell one million units of domestically produced pure electric and plug-in hybrid cars in China by 2020, which should account for a minimum of 70% of the country’s market share. Moreover, it aims to sell three million domestic brand units by 2025, and account for a minimum of 80% of the country’s market share. 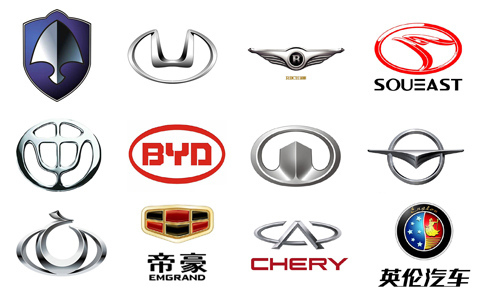 The NEV market in China is dominated by domestic brands including BAIC, BYD, and JAC. A draft measure has been released for public comment that aims to set NEV production targets for both domestic and foreign automakers operating in the Chinese market. Automakers that do not meet this target would need to purchase NEV credits from other automakers that exceeded it. China’s RV market has undergone significant changes over the past several years, including a national focus on the development of tourism, campgrounds and the RV industry. With a growing demand for RVs and a shift in consumers' travel preferences, tourism experts in China anticipate a surge of RV-related businesses in the coming years. According to the “2016 China Campground Industry Report”, there are total of 958 campgrounds in China, of which 489 are under construction. There were about 25,000 RVs in China by 2016. 33% of the campgrounds are located along the eastern part of China, for instance Shandong, Jiangsu, Shanghai, Zhejiang, Fujian and Guangdong), while another 22% are in western China, for instance Inner Mongolia, Gansu, Sichuan and Yunnan. There are currently around 80 RV manufacturers in China, of which 56 are active. It is predicted that the campground industry will hit a trillion RMB market ($145 billion USD) by 2020, which will also stimulate the RV industry’s development. China has made a push in recent years to develop domestic tourism, including campgrounds and the RV industry. Campground development has received great support from the central government. The China National Tourism Administration, together with 10 other ministries, released “Several Opinions on Promoting the Development of Self-Driving Tourism” on November 9, 2016. This set a target of building 2,000 campgrounds by 2020, and allows vehicles to tow trailers which are less than 2.5 tons. However, the RV industry faces issues such as lack of standards and regulations, as well as the luxury car consumption tax challenge. China Customs does not have an HS code for RVs, so RVs are treated as automobiles upon import. This means imported RVs have to pay the same high tariffs and duties as imported cars. Whats next for Didi Chuxing? 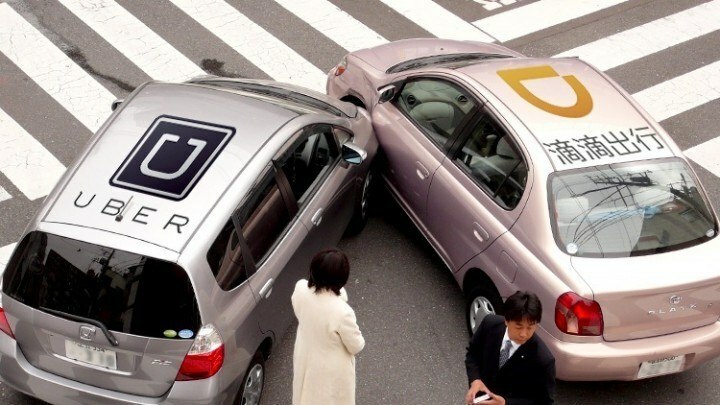 When China’s largest cab-hailing app company Didi Chuxing announced at the end of July a merger with Uber after a bitter battle for dominance, it was unclear what, exactly, would become of Uber’s China operations. Essentially, Uber sold its China operations to Didi, leaving Uber free to focus on less challenging markets ahead of a widely expected IPO. In August, Didi said that the two companies would remain independent. More recently, Didi has said that “customer facing operations” will remain independent. Over the next two weeks, Uber users will have to download the new app. This new app is in Mandarin only, is not compatible with Uber international, uses the same map software as Didi, uses the same drivers as Didi, and does not work with foreign credit cards. So…Uber is dead, though the company did announce an “international edition” planned for next year. Given Didi’s international aspirations, it’s unclear whether this would be “Uber” as such. As for the present, there have been reports of difficulties using the app and of price hikes, which commentators are attributing to the fact there is a monopoly, compared to in the past when there were two companies offering generous subsidies in order to undercut each other. Inside China, Didi’s future is even more difficult to discern. While it has become the undisputed number one in the car-hailing app market (there are still much smaller competitors like Yidao Yongche), there were sweeping new laws introduced just before the merger. The devil is most certainly in the details. The new laws specify requirements for drivers and ban the large subsidies that characterized the Uber-Didi battle, but mostly, they palm off the heavy duty rule-making to local governments to do as they see fit. And earlier this month, a host of local governments did just that. The big problem relates to migrant workers—the people who already find it tough to live in big cities because they lack a hukou (household registration, basically citizenship of a city) for that area. The rules issues by Beijing, Shanghai and Shenzhen all prevent migrant workers from being drivers, presumably in an effort to ensure drivers don’t have criminal backgrounds. Critics say it is an effort to assist cab companies, who provide a fair chunk of revenue to local governments, and say that this is effectively regulating car-hailing apps to the point where they are basically just cab companies that use apps instead of part of the sharing economy. The Wall Street Journal cited Didi as saying that just 2.6 percent of its Shanghai drivers were local residents. This rule would effectively lock migrant workers out of one of the more stable work opportunities for the upwardly mobile. Unsurprisingly, Didi loudly voiced its objections, in a rare case of the company being openly critical of government regulation. It is important to note however, that these are draft regulations. The final version may end up being less harsh if Didi persuades the authorities that these requirements are too onerous. On the other hand, there have been strikes by cab drivers specifically complaining of the savage competition from car-hailing apps, and effectively turning Didi into a big cab company would make things far easier from a regulatory standpoint. One thing is certain: while the war between Didi and Uber is well and truly over in China, the struggle to regulate the winner is ongoing. And with Didi gearing up to go international, the company still has its work cut out for it. Source: This article originally appeared in “The World of Chinese” magazine. For many years, foreign manufacturers experienced record growth in China. But those days are over: last year, all major car makers reported slower growth in the world’s largest car market. China’s economic slowdown can only partially explain this phenomenon. The other reason is that local car brands have become serious competitors. Furthermore the rapidly proceeding digitisation of cars and traffic systems in China could amplify this trend. 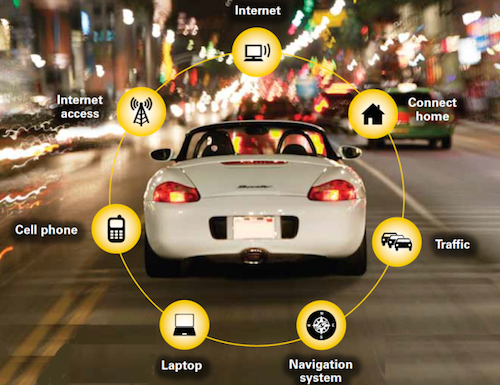 Car-related online services (pay-as-you go insurance). Internet companies such as Baidu, Alibaba and Tencent dominate the Chinese internet and are key sources of impetus in driving the development of an Internet of Vehicles. Chinese smartphone manufacturers are the second driving force behind this trend. Xiaomi, LeTV, Huawei and ZTE have all discovered the automotive sector and re also committed to enhancing connectivity in the automotive sector. Lastly state-owned companies are exploiting vehicle connectivity to consolidate the position of China’s Beidou satellite navigation system in the transport sector. Their long-term plan is to drive the American Global Positioning System (GPS) out of the market. The companies involved in these new developments are all competing with each other, as they share a common goal: to design a digital ecosystem for connected cars that will provide them with a sales market for their own distinctive services and technologies and enable them to be independent of foreign suppliers and patents. They collaborate closely to this end, building cross-sector alliances where expedient. A lively network of powerful Chinese companies has thus emerged since the start of 2015, all of whom are working together to set up an Internet of Vehicles. The Chinese Government is attempting to steer the development of the automotive sector through two fields of technology that have not been dominated by international players yet: e-mobility and the Internet of Vehicles. Chinese car manufacturers have dominated the domestic market up till now, achieving a market share of around 75 per cent in 2015.2 A co-ordinated programme for promoting e-cars produced in China along with massive expansion and standardisation of battery-recharging facilities have helped to fuel this development. The Internet of Vehicles represents a continuation of this strategy by the Chinese Government: they support Chinese companies in the digitisation of the automotive sector in the hope of securing them a competitive edge. Automotive companies are not the only ones to benefit, though: a number of other strategically important industries are also profiting, including the internet, information and communications sectors, quite apart from Chinese software makers. The Ministry of Industry and Information Technology (MIIT) is currently devising a strategy to promote the Internet of Vehicles as part of the 13th five-year plan (2016–2020). Creating a competitive advantage for Chinese businesses, Beijing is no longer prepared to bow to international IT standards, patents and associated license fees, but would like to see Chinese standards adopted internationally instead. This applies to hardware and software systems for intelligent transportation systems as well as for satellite navigation and telecommunications infrastructure. Electric vehicles offer China an opportunity to reduce its reliance on foreign oil, improve air quality by curbingemissions from the burgeoning transportation sector, and enjoy the future economic benefits of being a globalpioneer in an emerging industry. While the government has prioritized the development of electric vehicles, morecan be done to ensure success. 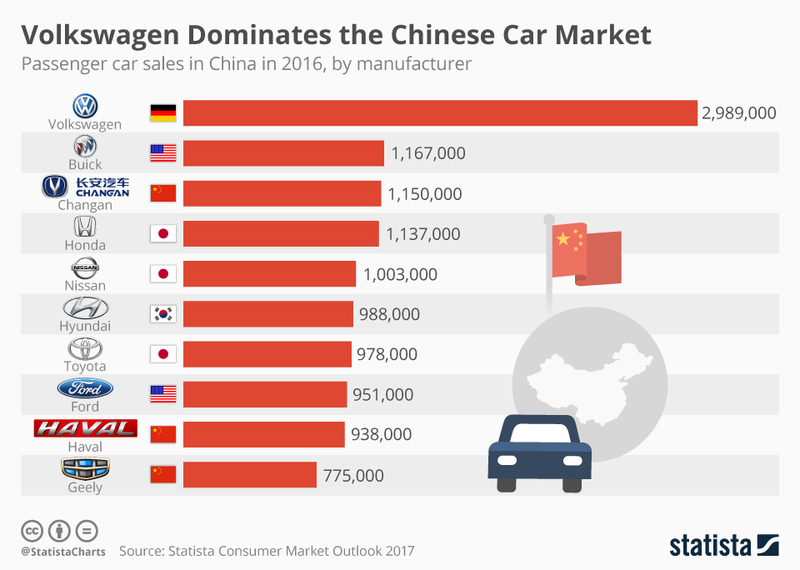 The Chinese auto market has already undergone a staggering transformation; just a few decades ago Chinese domestic automobile manufacturers held an almost negligible market share, but now China is the largest automobile producer in the world. This success has been achieved by focusing on selling low-end cars to first time buyers, a strategy which worked in the past as more and more of the Chinese population graduated to the middle class. However, after explosive expansion, growth started to slow in 2011 and this trend continued throughout 2012. The infographic below illustrates the state of the automobile industry in China in 2012. Click on the company logo to view its joint ventures, manufacturing locations, sales and export figures. 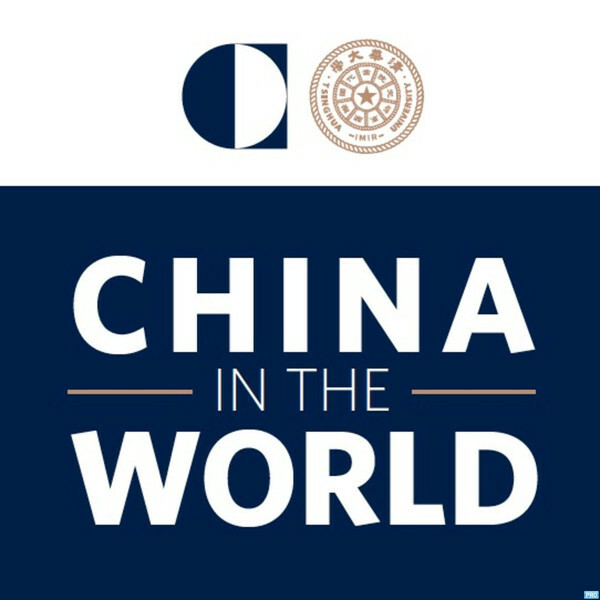 Historically, China has hoped to partially de-fang foreign competition by establishing joint ventures. These were especially significant in the 1990s as they allowed Chinese companies to garner technology and trade secrets from European and American automobile companies. Although co-opting foreign car manufacturers has been successful, it means that exclusively domestically manufactured cars are now struggling to establish themselves in an increasingly crowded market. Sales in Chinese-brand passenger vehicles may have increased by 6.5% in 2012, but domestic automakers still only own 41.39% of the market. As Chinese consumers get richer, their thoughts turn to concerns such as safety, reliability and customer aftercare, qualities which many Chinese-made automobiles have traditionally lacked. Neither is the domestic forecast particularly heartening; the compound average rate of growth in the automobile market between 2005 and 2011 was 24%,but year-on-year auto sales in 2012 only grew by 4.3%, which is significantly less than the forecasted 8%. The shrinking and possible oversaturation of the market combined with foreign competition has forced Chinese auto manufacturers this year to look overseas in an attempt to revive flagging sales. Exports have been increasing by 46.3% year-on-year since 2001, with auto companies applying their domestic strategy abroad by selling cheap cars to first time buyers in developing countries. Algeria was the top export market in 2012, with Iraq, Iran, Russia and Chile following closely behind. Despite the short-term success of this business strategy, it is highly likely that consumers in these emerging markets will eventually follow their Chinese counterparts in requiring safer and better quality cars. In response to this, Chinese automobile manufacturers have been making conspicuous efforts to bring export cars up to international standards in an attempt to increase trust and remove the stigma traditionally attached to the ‘made-in-China’ label. Some companies, such as Great Wall Auto, have even focused on exporting mid to high-range cars in an effort to build their reputation. Several high-profile cases may have thwarted this strategy; in August, 2012, asbestos found in Chery and Great Wall brand automobiles exported to Australia resulted in blanket recalls. Furthermore, a recent China-Brain survey found that the majority of respondents would not buy a Chery, Geely, BYD or Great-Wall manufactured car. As China’s automobile companies face the future following the mixed success of 2012, they should look towards increasing brand trust and quality, rather than continuing to manufacture cheap, mediocre vehicles.